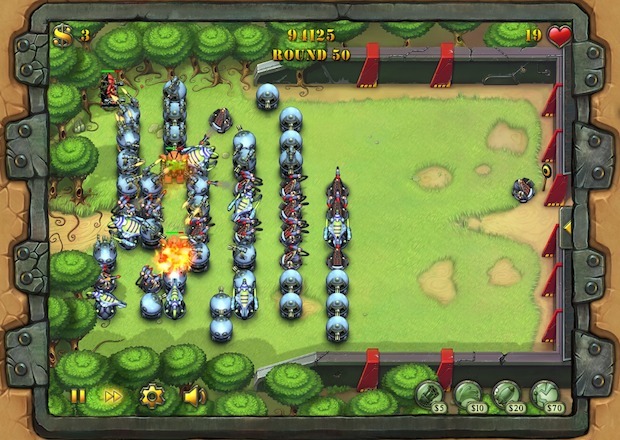 Fieldrunners is a very popular tower defense game for iOS and Android, it usually costs between $3-$8 depending on the version, but guess what? You can download and play it for free using nothing but the Chrome web browser and Google’s web store. You’ll want to download the game to be able to resume games, but you can also just play the game directly at the appspot url. The game can be loaded in either standard or high def mode, so choose accordingly based on your screen resolution. Technically it’s supposed to be for Chrome only, but you can usually load the game with Safari or Firefox as well. You won’t need Flash either because the app is HTML5. Similarly, you can download and play Angry Birds for free with your browser too, just in case you haven’t beaten that dead horse enough yet.